DACPD85 – This Level 4 Unit is designed to increase understanding of the processes involved in developing writing skills and to provide strategies for use in the classroom. 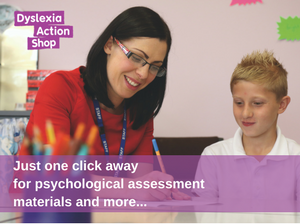 Although the focus is on how to nurture the development of writing skills in learners with dyslexia, the approach will benefit a wide range of learners struggling to acquire effective writing skills. Have a minimum English language ability level such as: IELTS 6 or TOEFL 60-78 points if English is the second language.